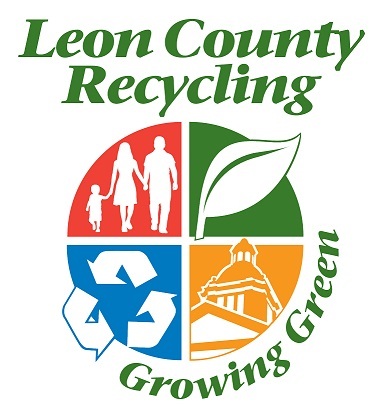 Single stream recycling is coming the Tallahassee/Leon County the beginning of October. All this means is that you no longer have to separate the plastics and glass from the paper. It all goes into the bin and it gets sorted from there. The idea is that more people will recycle at home and at the office if they don't have to separate items into separate containers. In 2008, the State of Florida adopted a goal of statewide recycling of 75% by the year 2020. Data from the Florida Department of Environmental Protection says the state is recycling at a rate of 48% in 2012, up from 30% in 2011. [note: the Department did count solid waste burned to produce energy for the first time, which is a calculation not commonly used when calculating the recycling rate.] The 2012 data shows Leon County ranked 5th in the state, with a rate of 43%, behind the number one county [yes, you guessed it] Alachua with a rate of 54%. Leon increased in rank from 8th in 2011. Alachua was #1 in both years. The top ten counties ranked in 2012 were: Alachua, Martin, Sarasota/Brevard (tied), Leon, Duval, Orange, Hillsborough/Collier (tied), Putnam/Escambia (tied), and Broward. So, why don't people recycle more? A study published in the Journal of Consumer Research proposes an explanation as to why recycling isn't as ingrained a a habit as we might like. From the study, it appears that our sense of an object's utility, as well what we consider to be 'trash' has an effect on what we recycle. The research project started with the team rooting through the rubbish and recycling bins in one of their university's office buildings. During their after-hours trips through the trash, they noticed a rather distinctive pattern: sheets of paper that were close to the standard 8.5 x 11 inch size were more likely to be recycled, while smaller sheets tended to be thrown into the trash. This trend held even when the researchers adjusted for the total volume of paper in the different size categories. The researchers concluded that if a sheet of paper is close to the normal size we use every day, then people will mentally categorize it as still useful and will be more likely to recycle it. If, in contrast, it's a smaller size, then we'll view it as damaged and less useful. As a result, we'll tend to throw it in the trash. Single stream recycling is the best and cost cutting systems to invest in to. It’s great for public everything goes in to the same bin. Waste sorting is cheaper because machinery does the sorting few workers are need.